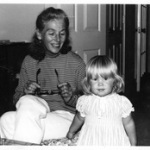 Jessica Livingston is a venture capitalist and author from Boston. She is a founding partner of Y Combinator. 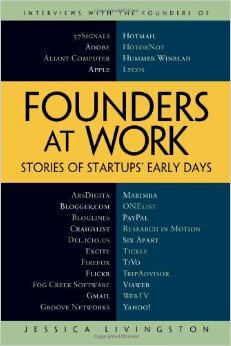 In 2007, she published Founders At Work, a collection of interviews about startup companies. She previously worked at Adams Harkness Financial Group as the company’s VP of marketing. She has a BA in English from Bucknell University. She is married to Paul Graham, and they have two children. Graham writes an article about Livingston’s’ role in Y Combinator, saying she should have more credit. So although Jessica more than anyone made YC unique, the very qualities that enabled her to do it mean she tends to get written out of YC’s history. Everyone buys this story that PG started YC and his wife just kind of helped. Even YC’s haters buy it. A couple years ago when people were attacking us for not funding more female founders (than exist), they all treated YC as identical with PG. It would have spoiled the narrative to acknowledge Jessica’s central role at YC…Jessica knows more about the qualities of startup founders than anyone else ever has. Her immense data set and x-ray vision are the perfect storm in that respect. The qualities of the founders are the best predictor of how a startup will do. And startups are in turn the most important source of growth in mature economies. We didn’t interview Indiegogo when they applied to YC back in 2007 or 2006. We didn’t even invite them to interview, so I guess that would be a dumb business move. In our defense, they were raising funding for indie movie projects, so it isn’t the same thing as it is now. But I really love their founder, Danae Ringelmann. I think she’s awesome. So I’m equally sad that we didn’t fund her, from a personal perspective. The best way to start is not to start. Don’t even start a startup. Start a project. We never say never, but the problem is that is that there’s a signaling thing. Follow-ons would hurt the founders who are probably a great investment but that we just didn’t choose to do a follow-on with. 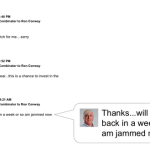 While waiting for an interview with Re/Code, Livingston is hit on by a male investor. I’m not crazy, right? He was hitting on me? He was offering to invest in our weaker companies as a way to get me on a date, right? Did that just happen? Today, of all days. I just can’t believe it would be today. Livingston has taken a stand against sexual harassment. Y Combinator has a zero tolerance policy for inappropriate sexual or romantic behavior from investors toward founders. Don’t even think about doing it. I will find out. There are so many new investors coming into the Valley from New York and everywhere else, and we just wanted to lay that out there. The overt sexual harassment you read about — the men who say they don’t invest in women — I can’t force them to invest in women, but I can say you can’t sexually harass our founders. And so that’s what I did. […] you should be talking to a small number of users who are seriously interested in what you’re making, not a broad audience who are on the whole indifferent. […] They know this three months is going to be super-intense and it almost forces them to be productive and get stuff done, so we still add value. Y Combinator holds its first ever Female Founders Conference at the Computer History Museum in Mountain View, California. In her opening remarks, Livingston says that the sold-out gathering is “the most over-subscribed event” in their history. I wouldn’t be surprised if in five years, we feel like 2014 was the tipping point for female founders. She shares some basic advice that she likes to share with all start-up founders: the importance of having determination, empathy, living frugally at the start, and focus. She then goes on to spell out some key pieces of advice for female founders in particular: Having children and starting a business is hard — but possible; It’s OK to be the ‘quiet cofounder’; Learn how to code — and don’t be afraid to start up with a spouse or personal partner. Don’t feel like there’s anything weird about starting a startup with your significant other. We have significant evidence it works. I think it’s steadily increased. There was definitely a spike when Social Network came out [and] Facebook went public…when we started in 2005 it was not a mainstream thing to do. Imagine an assembly line where Facebooks and Googles come along every few years. You can either pick that cookie off the assembly line or not. If you pick it off, it’s market price, which varies. But if you don’t pick it off, you’re out of the game. If they like you, others like you. If noone likes you until others do, what happens when you talk to the first one? Noone likes you. You’re really starting off in a hole and you have to work your way out of it. Livinston talks to GigaOm about what qualities Y Combinator partners look for in founders who apply. First and foremost, the cofounder relationship is extremely important… Second, have the founders built something before?… Another quality I think is important is kind of being flexible-minded, or open-minded…. I always say the most important quality in any founder is being determined, and that is probably the toughest quality to judge in a 10 minute interview. Livingston interviews Tan and Agarwal, founders of Posterous. Asked about how close their original version was to the current version of the site. It’s actually pretty close. Sergei and I have always been bloggers. The two of us since high school, have always had a personal website that has our thoughts and photos…We were using all these tools. I was using Blogger and Xanga, and we were really frustrated with the tools we were using.. And they were really text based. The idea was that blogging meant having to type out a whole lot of text. Nobody wants to type out text, nobody wants to read it — it’s really boring. We wanted to share photos. Now how do you put photos on the web? Now have to use Flickr, and now I want to share videos — I have to use YouTube. And there really wasn’t a solution to get rich media onto the web…And between all of that email was the unifying protocol that made a lot of sense…The initial prototype was: I want to send an email and I want it to appear on my blog. The first 20 lines of code written were to post from email. This is one that I have no hesitation in saying, but it always stirs up a lot of controversy. Steve [Huffman] built a really simple system for admins, that is Steve and me, so that when we submitted a link also let us type in a user name. It let us easily and efficiently create lots of fake users. And we were able to browbeat a few of our friends to build up comments. But the rest of our friends and family could not be begged or bribed enough to do it really consistently. The only option we had to resort to was to fake it. But we didn’t have to do it for too long because Paul [Graham] did us a big favor by [profiling us] us in an early essay. It was at some point about three or four weeks into it that neither Steve or I had to submit or vote on anything, and the site just worked…We could spend the day just lurking on Reddit, that is just using it like the vast majority of people do and not actually generate content. That was huge. That was when we realized, maybe we haven’t wasted this summer and we had a legitimate community. That was definitely one of the bigger struggles getting started– having this idea and not having a co-founder. And Paul [Graham] and everybody told me over and over again that this was a necessary condition of joining Y Combinator. I was networking around and letting people know about DropBox and seeing what they though and met Kyle Vogt, a founder of Justin.tv. Kyle had dropped out of school to join Justin.tv and it turned out that he and Arash were both undergrads at MIT, and both from Kansas. The same kind of cabin fever that I had being in Cambridge and watching all my friends move out to Silicon Valley I think Arash was feeling too. So, I put up the screencasts, three or four minute video, about Dropbox and Arash emailed me after that, because Kyle let him know I was looking for a co-founder. We met up at the coffee house at MIT and everything went from there. We had a month of runway left, we had very little money in the bank, and had to figure out how to make the next rent check….There was a design conference coming to San Francisco. And here we were thinking we need to make money and we need to meet people. So we put the two together and decided why not make a little designer bed and breakfast for the design conference? We noticed all the hotels were sold out… and that was the lightbulb for us. We pulled out a coupe of Airbeds and we had the original idea: Airbed and Breakfast! We weren’t trying to start a business. We were trying to solve our own problem. Livingston says she wrote Founders At Work as there was a lack of information about the early stages of a company. 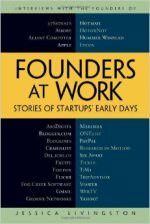 Livingston publishes the collection of interviews with 32 startup founders. She says she has always liked writing, and wanted to write something that ‘gets to the heart’ of the experiences that startup founders had. I hear these stories that they talk about, or the other people they knew who had done startups, that seem so crazy to me. Stories about how they sort of lied, not lied to investors, but pretended to look much more advanced that they were. When really they had one computer and they stole people’s monitors and put them on the desk so it would look like they had more. This was crazy, no one knows about this. And I was working at this tech, this emerging growth investment bank and I thought I should kind of know about this stuff….I sort of based on the concept of Paris reviews writers, it worked and talked about how did you it. First of all, try to have the highest of ethics and to be open and truthful about things, not hiding. If you have to hide something for company reasons, at least explain what you’re doing. Don’t mislead people. Know in your heart that you are a good person with good goals because that will carry over to your own self-confidence and your belief in your engineering abilities. Always seek excellence: make your product better than the average person would. 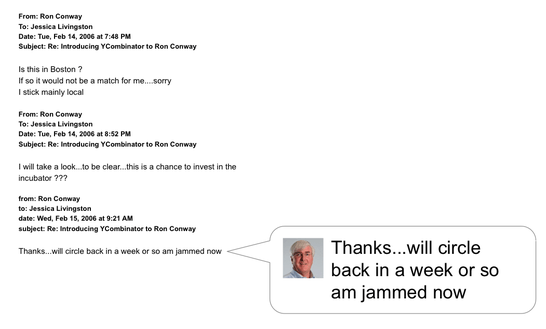 Livingston says Y Combinator reached out to Conway in its early stages, but wasn’t able to communicate to him what the firm did. He said, “Is this in Boston? I stick mainly local.” I replied, “No, we’re in Mountain View and we’d love for you to come to Demo Day.” He said, “Is this a chance to invest in the incubator?” I replied, “No, we don’t want you to invest in us. It’s a chance to invest in the individual startups.” Then he told us he’d circle back, since he was jammed. We got the “am jammed now” from Ronco—it was so embarrassing. She says Conway did end up coming to Demo Day in 2006, and returned to talk at the next year’s winter event. We met at a party in Cambridge Massachusetts randomly. It’s kind of a funny story. I actually went, he was co-hosting the party with a friend of his, I was with a guy I was taking a class at Harvard Extension School with. I wasn’t gonna go, it was a Saturday night and I didn’t have a friend to go with me so I wasn’t gonna go but I went anyway. I arrived on the doorstep, and I said “ Oh, I’m Jessica, I’m friends with Murat and I’m here for the party” and he said “Murat? Didn’t you hear? He moved to Arkansas last week to join the Wes Clark campaign. He’s not here tonight.” So, I said, “Oh my God, I’m not gonna know anyone.” I did not know one person at this party and I went in and had a great time and met, you know Paul, and Trevor, our other co-founder and just hit it off. And then Paul and I started dating and I started meeting more people who are involved in start-ups. 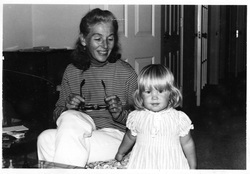 Jessica Livingston is born in Massachusetts. She grows up outside Boston with her mother and father, who works for Gillette. I grew up outside of Boston, Massachusetts. My family has lived there for generations.